Geo. 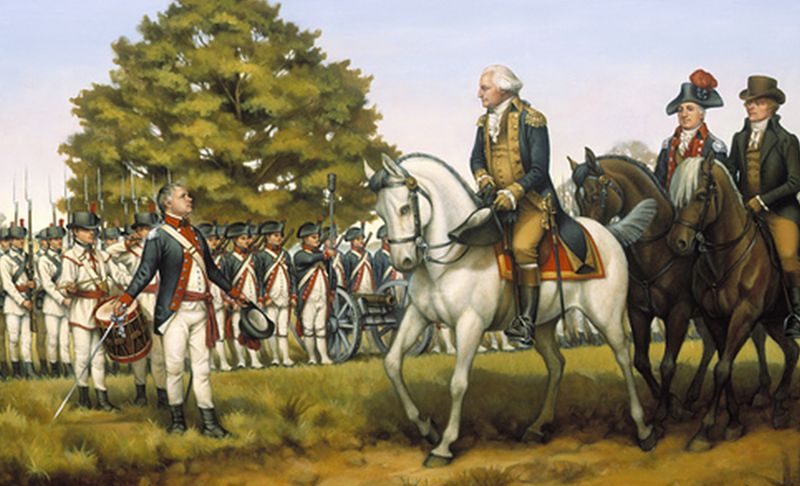 Washington reviews the troops at Fr. Cumberland, Md before their march to suppress the Whiskey Rebellion in Western Penns. The Whiskey Rebellion was a protest against in the first tax imposed on a domestic product by the newly formed federal government. The so-called "whiskey tax" became law in 1791. The tax applied to all distilled spirits, but whiskey was by far the country's most popular distilled beverage in the 18th century, so the excise became widely known as a "whiskey tax". Farmers in the Cumberland area and other places along the western frontier were long accustomed to distilling their surplus grain and corn into whiskey. In these regions, whiskey was sufficiently popular that it often served as a medium of exchange. Tax collectors faced violence and intimidation. Washington called on state governors to send a militia force to enforce the tax. President Washington himself arrived in Cumberland to lead the gathered militias; the only time a sitting President has lead troops into the field. The history of whiskey fun! 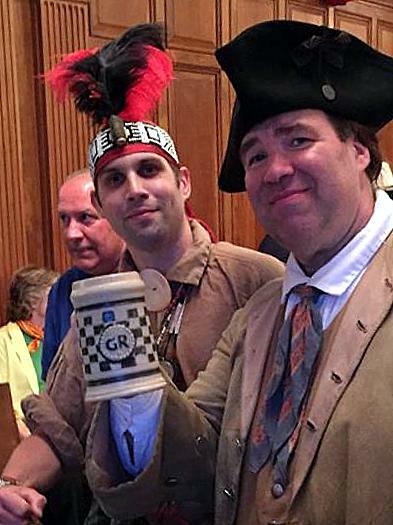 To commemorate this event and other local history, Allegany Museum hosts its annual Whiskey Rebellion Celebration. 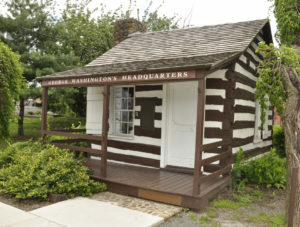 The Whiskey Rebellion Fest is also a major fundraiser for Allegany Museum. Allegany Museum is a non-profit entity, and relies on donations, gifts, and fundraisers to keep its doors open. 2016 saw the inaugural Friday evening Fest, and it was an overwhelming success. 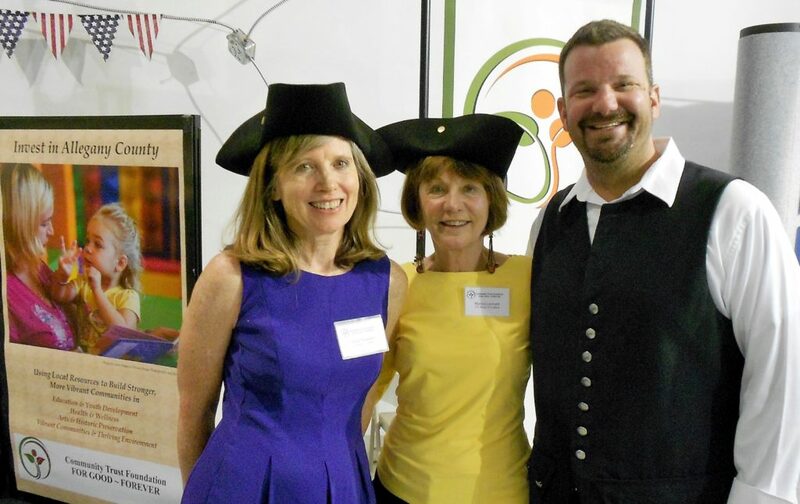 A capacity crowd thronged the Museum’s historic ballroom and enjoyed tastings of whiskey and other spirits, music by Grand Ole Ditch, historic re-enactments, a colonial ‘pub’ room providing authentic colonial games, photos with ‘President Washington’, canapés, presentations of cigar/whiskey pairings and free cigars. The Museum also mounted an exhibition of historic whiskey bottles, jugs, and ephemera at the event and in the weeks before and after. 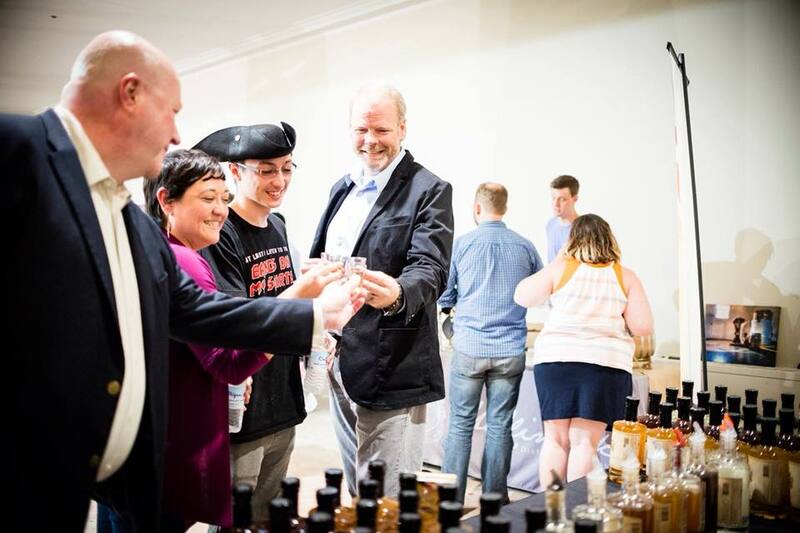 Enjoy this and more at the 2019 Whiskey Rebellion Fest! Get your name on the greatest Fest in town! Hundreds of individuals, companies, and groups have sponsored the activities at the George Washington Whiskey Rebellion Fest. Their sponsorship contributed to keeping the doors of this fine regional museum open. Join them today for this year's Fest! Tickets sold out in 2016, 2017, and 2018– book soon for the 2019 Fest, June 7, 6 pm!